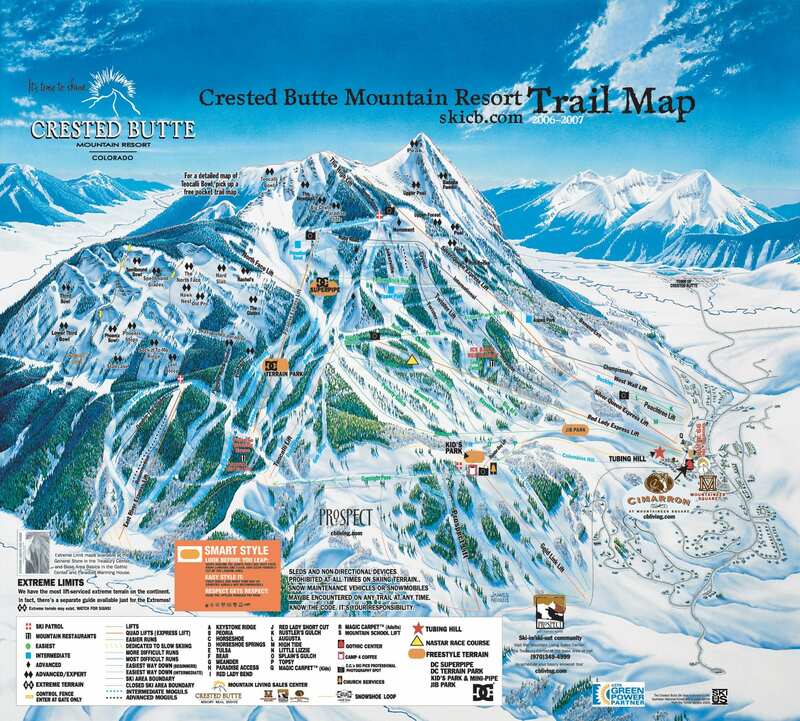 Crested Butte Mountain Resort is remarkably situated in the heart of Rocky Mountains. 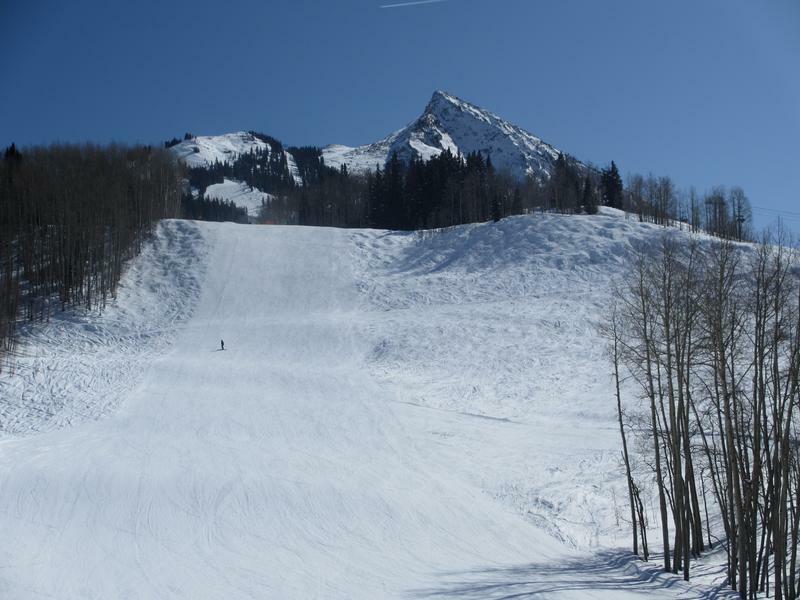 At almost a five hour drive from Denver, Crested Butte is truly a place you can get away to without the traffic of busier resort towns. 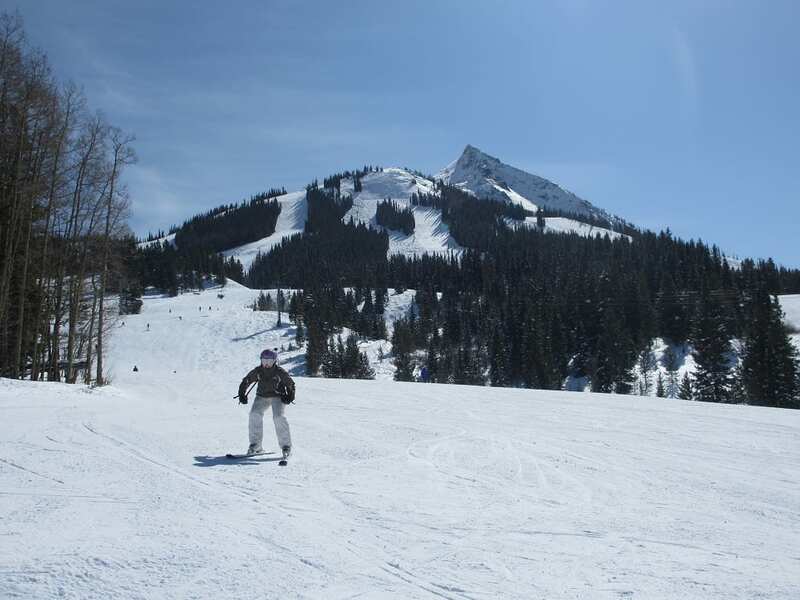 CB is known for its expert inbound skiing, iconic butte shaped peak and welcoming mountain town. 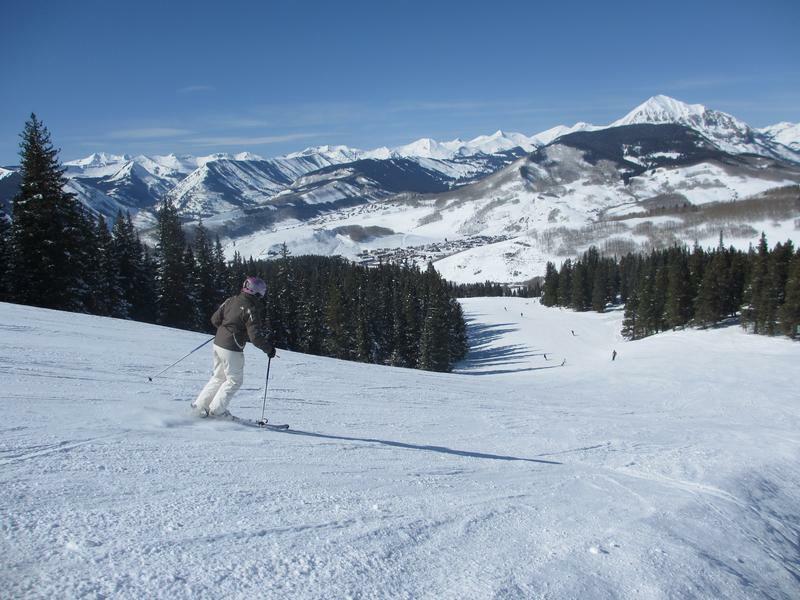 You can often find cheap lift ticket deals and vacation packages, to lure in the Front Rangers. 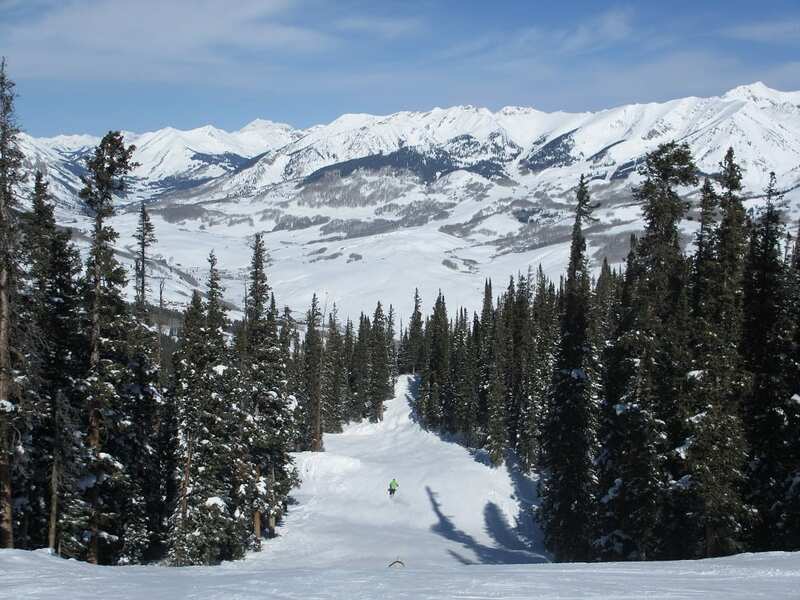 All levels will find terrain they like at CB: gentle greens, groomed blues, steeps, trees, bumps, cliffs, bowl, hike-access, and terrain parks. 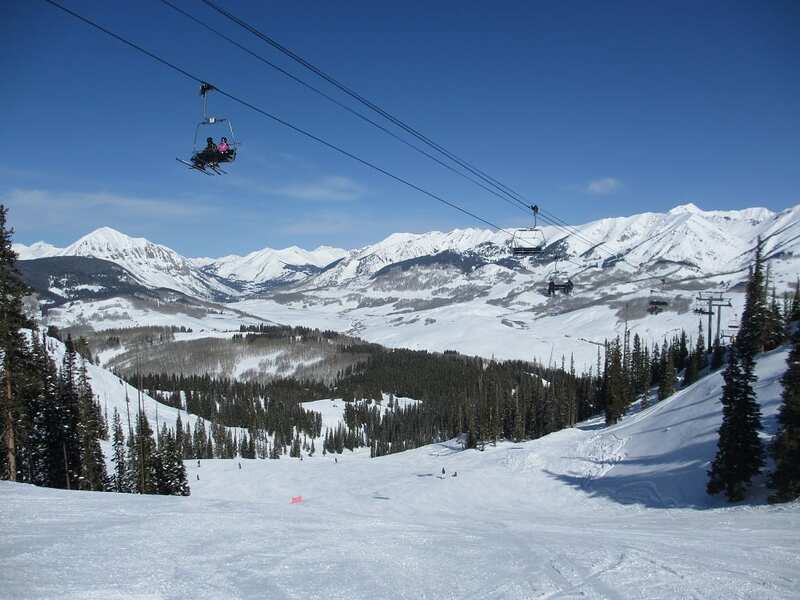 The lift served vertical is 2,775 ft assuring you long runs if you want them. 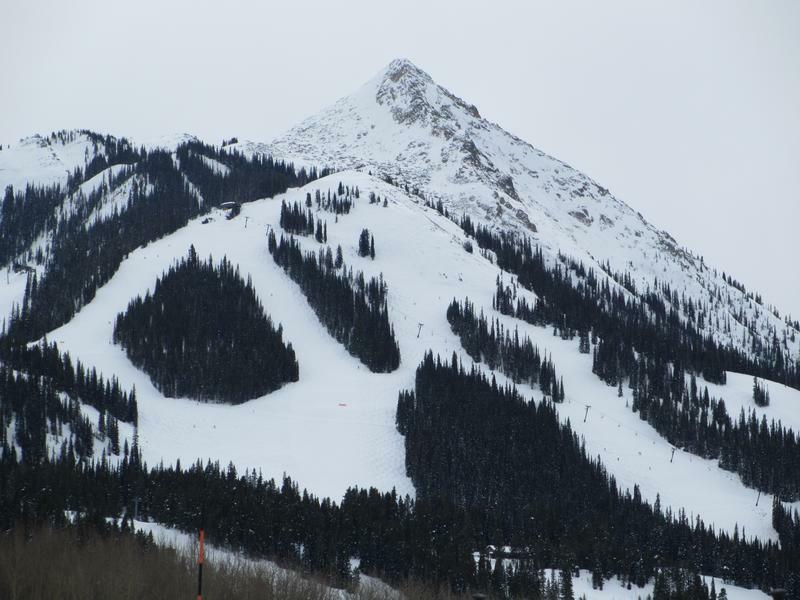 Crested Butte gets great snow too, ideally situated where a lot of Colorado’s biggest blizzards hit head on. And still the daily winter average is 30°F and sunny. 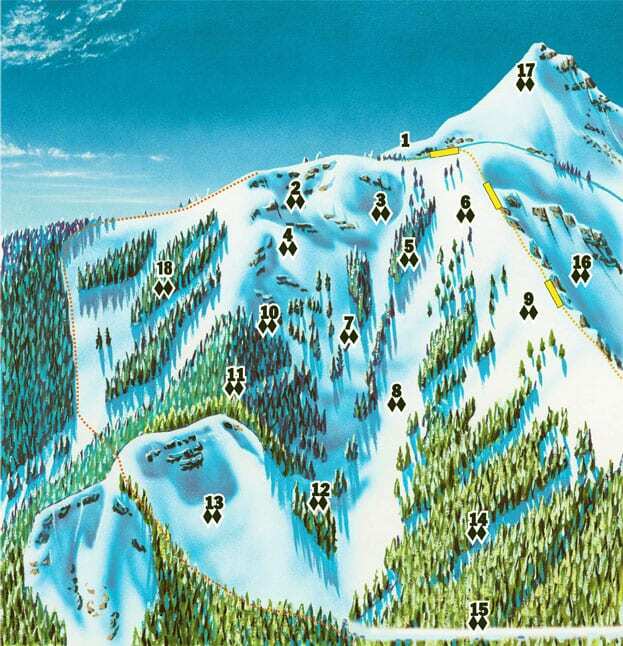 There’s a total of 121 trails. Beginners will find the easiest trails conveniently located near the village, and getting more difficult the further they get away. 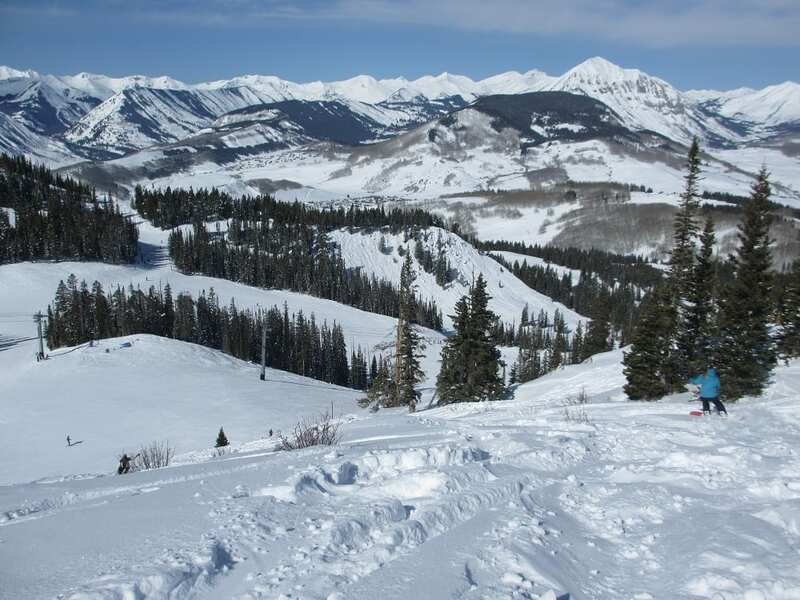 Eighty percent of Crested Butte’s 1,167 skiable acres are beginner and intermediate. 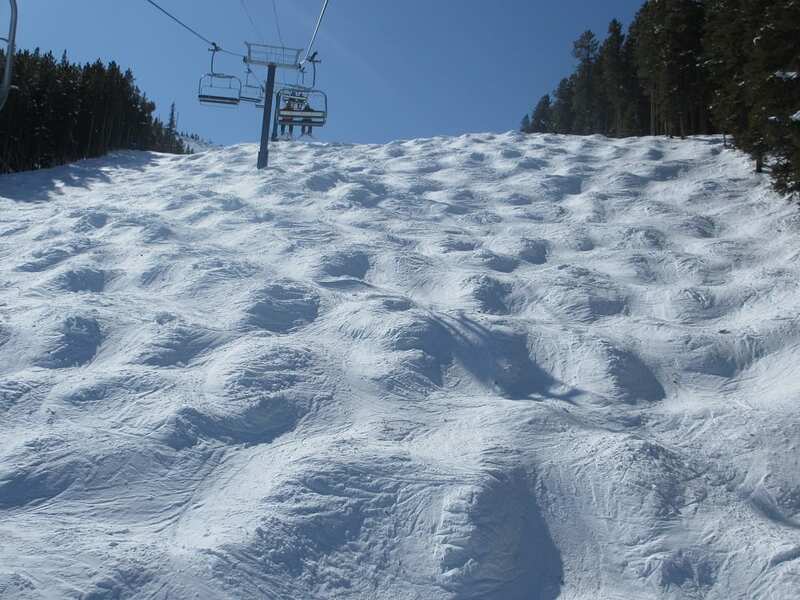 Experts will find plenty of adrenaline-pumping double-blacks higher up the mountain. 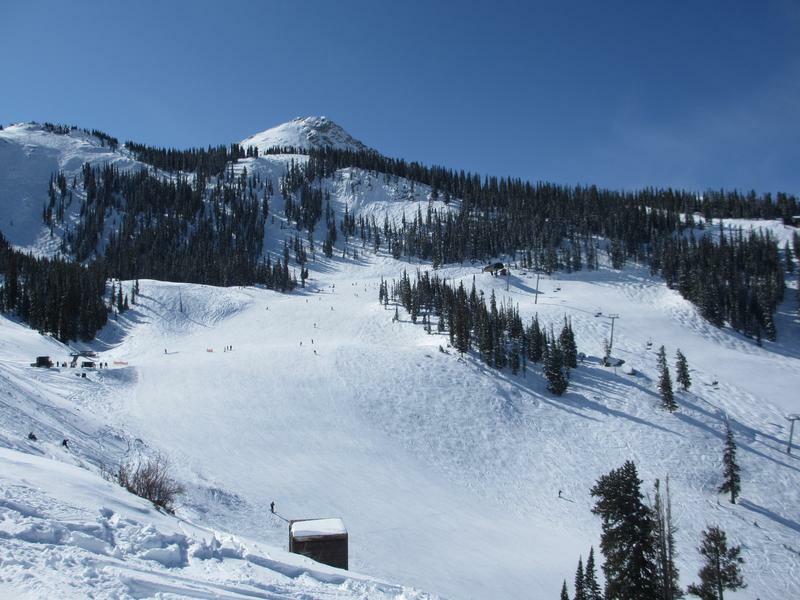 North Face and Headwall offer advanced skiers & riders a challenge, while the Teocalli Bowl has serious double-black skiing, that requires a 10 minute hike back to the Paradise Bowl area. 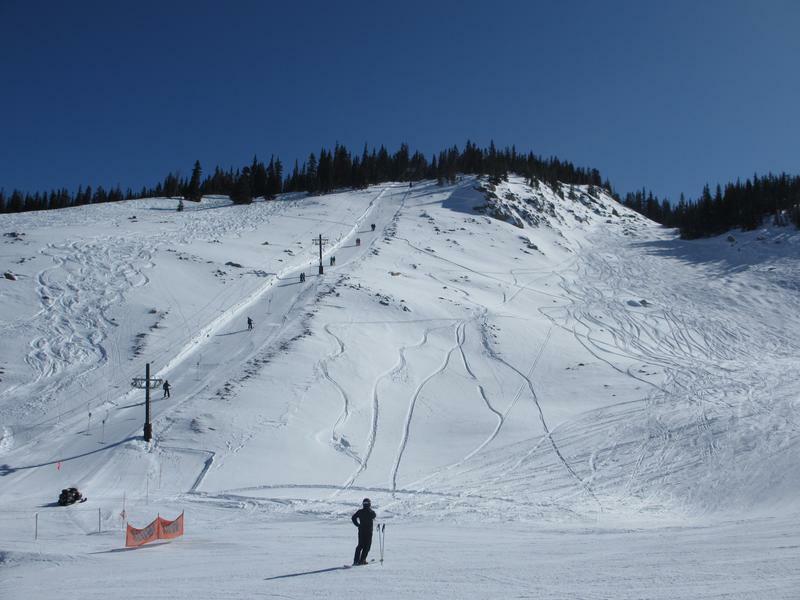 The Gold Link Terrain Park has many features and jumps, progressing in difficulty, from one to the next. There is also a Superpipe in the park. 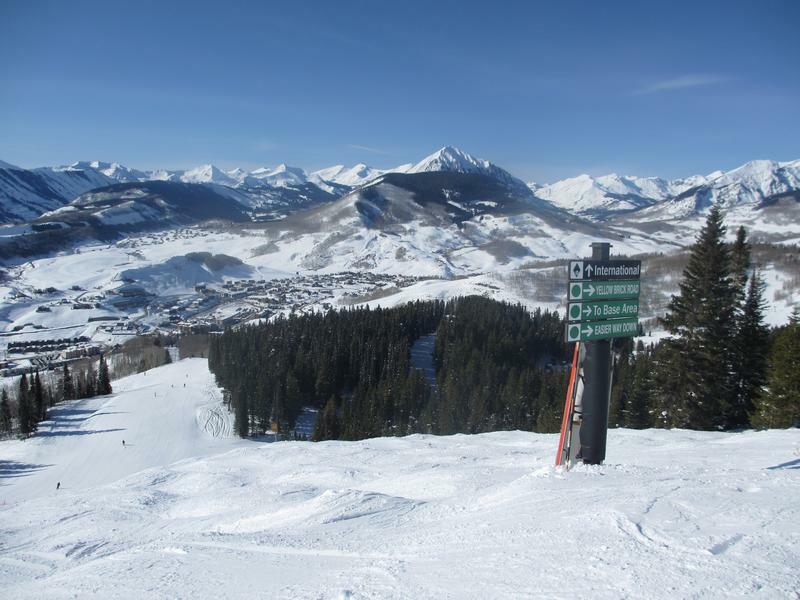 There is both a resort village and historic town of Crested Butte. 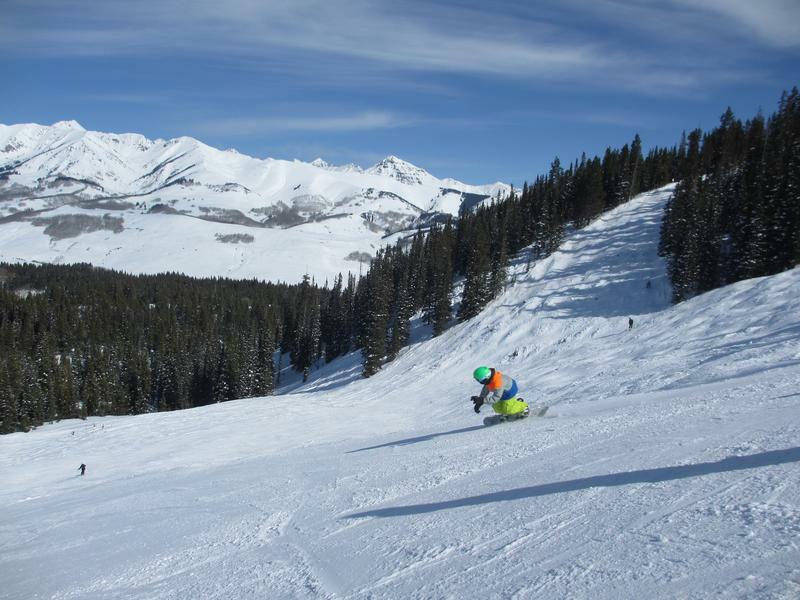 At the base of Crested Butte’s ski area is a modern ski village with ample dining, shopping, spas and lodging options. 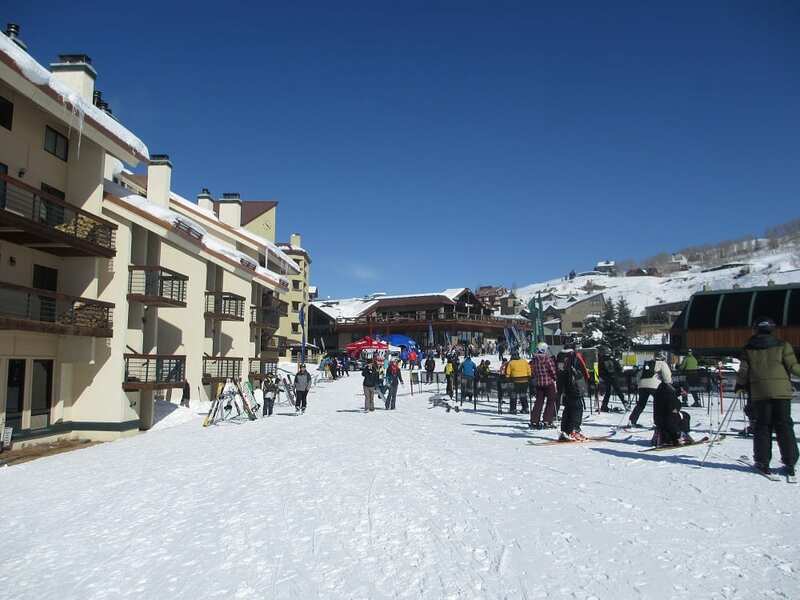 The resort also features snow tubing at the Adventure Park. On mountain there are several places to eat and drink. 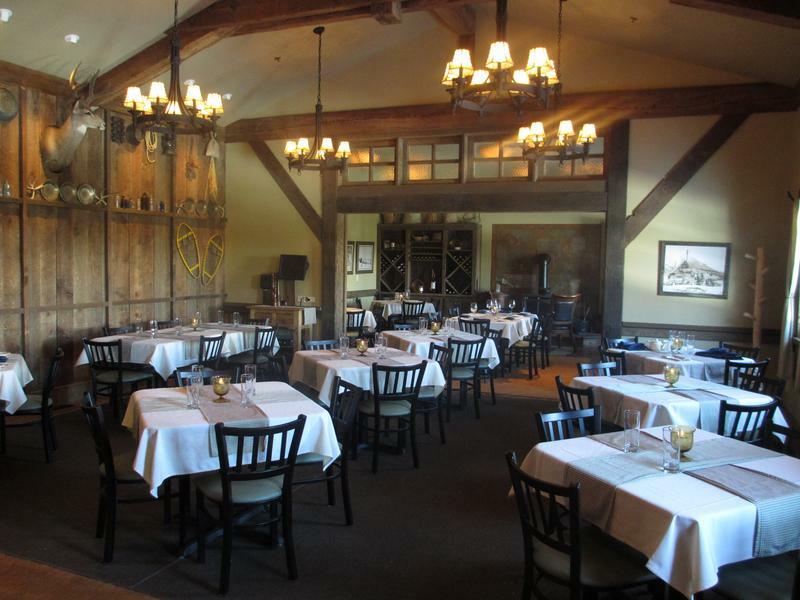 Uley’s Cabin features upscale dining and an outdoor ice bar, ideal for an after ski brew. 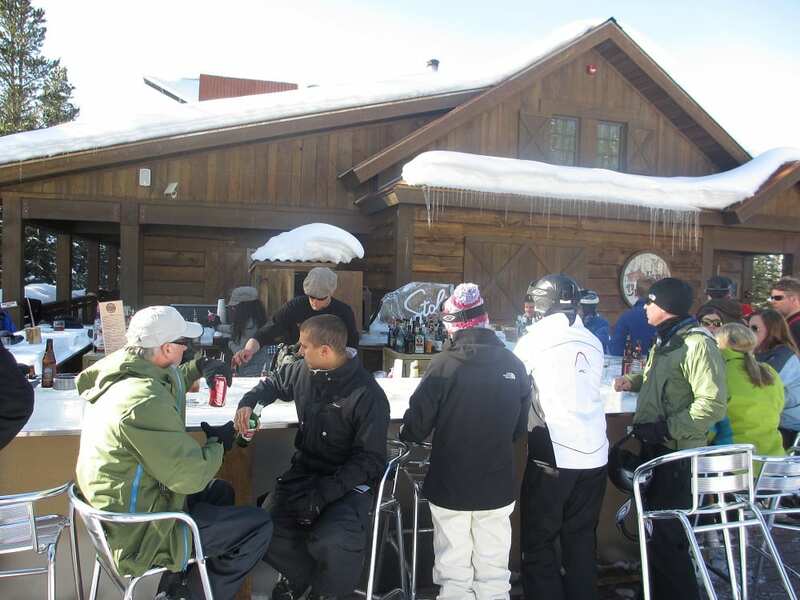 The Paradise Warming Hut has cafeteria style dining, an indoor bar and plenty of outdoor seating for soaking up the sun. 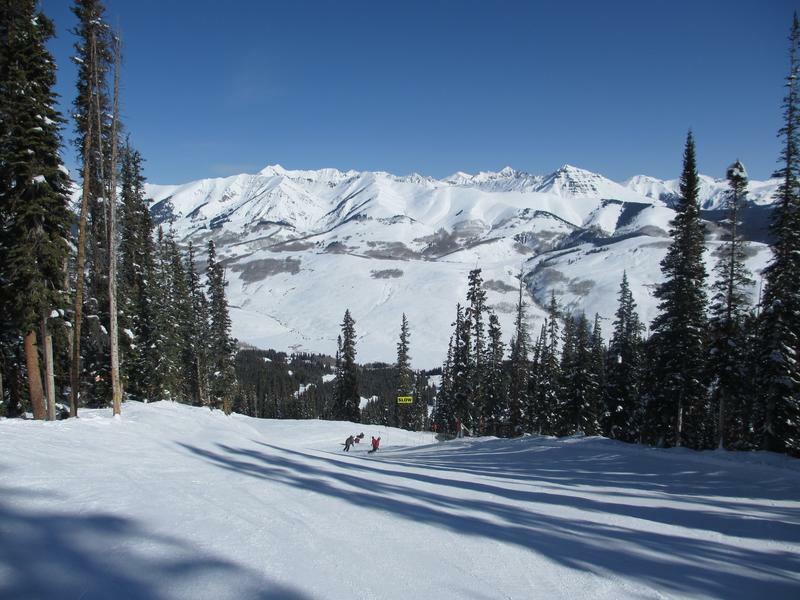 Historic downtown is situated in a valley surrounded by stunning views of the Maroon Bells, Elk Mountains and Ruby Range. 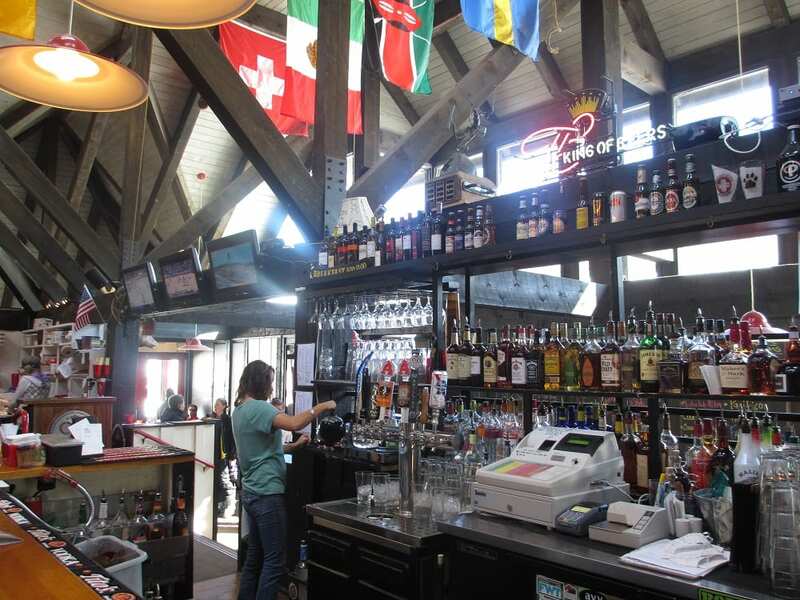 The town is lined with Victorian store-fronts and quaint shops, restaurants and lodging. 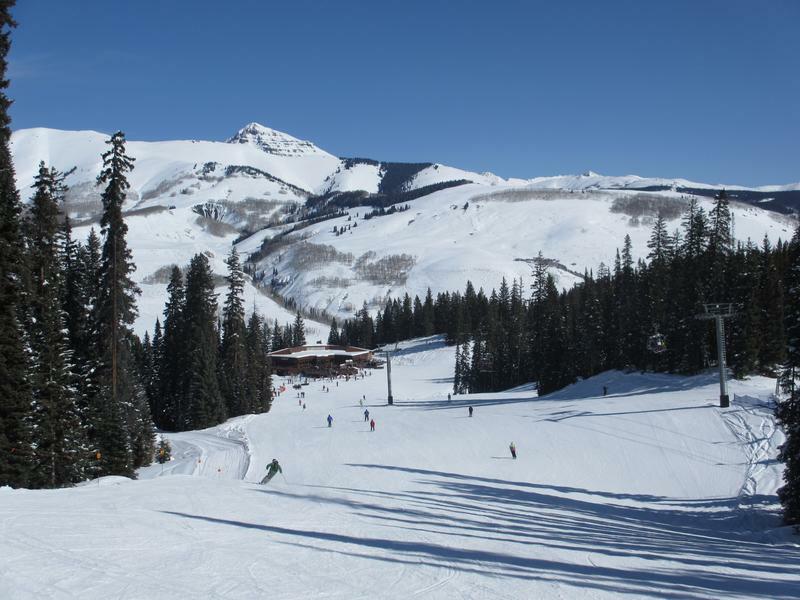 It’s a short 5 minute drive from the slopes of Crested Butte. 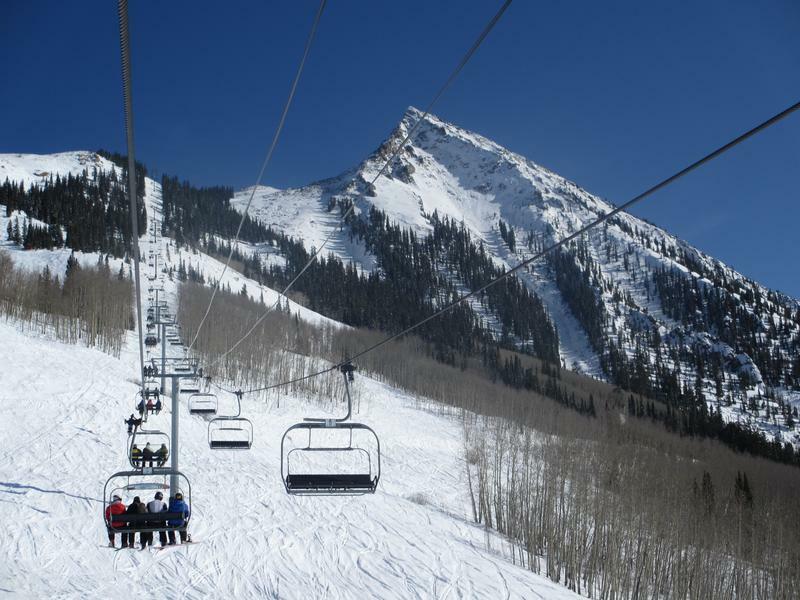 Chairlift up to the iconic Crested Butte Mountain. 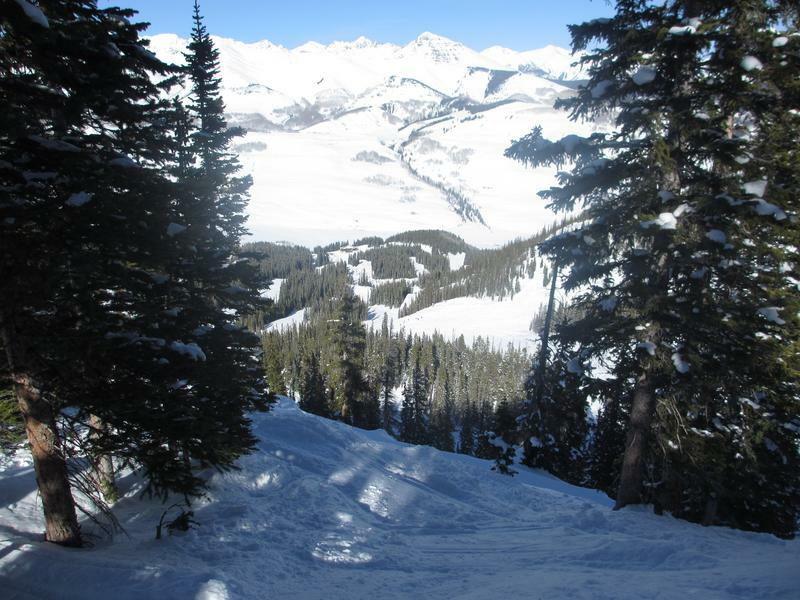 Down into the valley of Crested Butte. 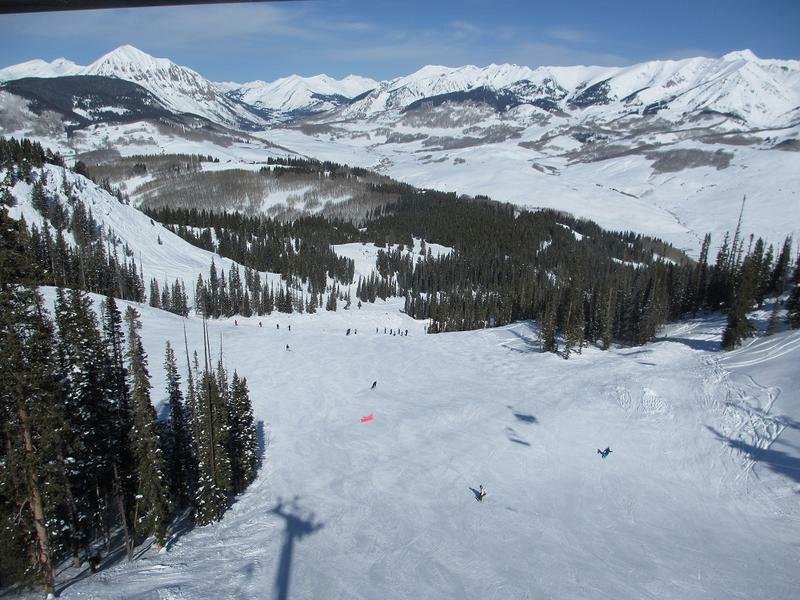 Aerial view from the chairlift. 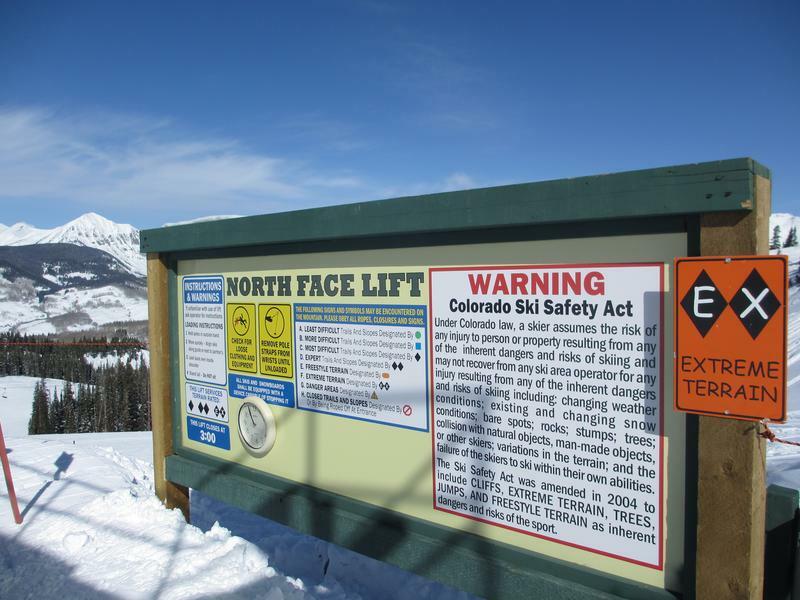 Poma Lift accesses expert terrain at CB. Skiing down to the Paradise Warming House, an on-mountain cafeteria. 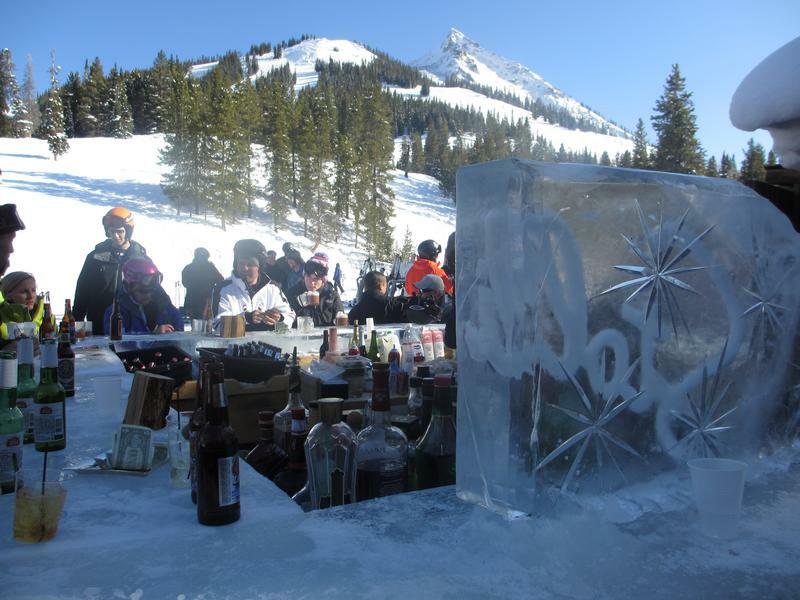 CB has one of the coolest on-mountain bars in ski country: The Ice Bar. Lounge chairs with a view. Time to head into the Mountain Village for lunch. 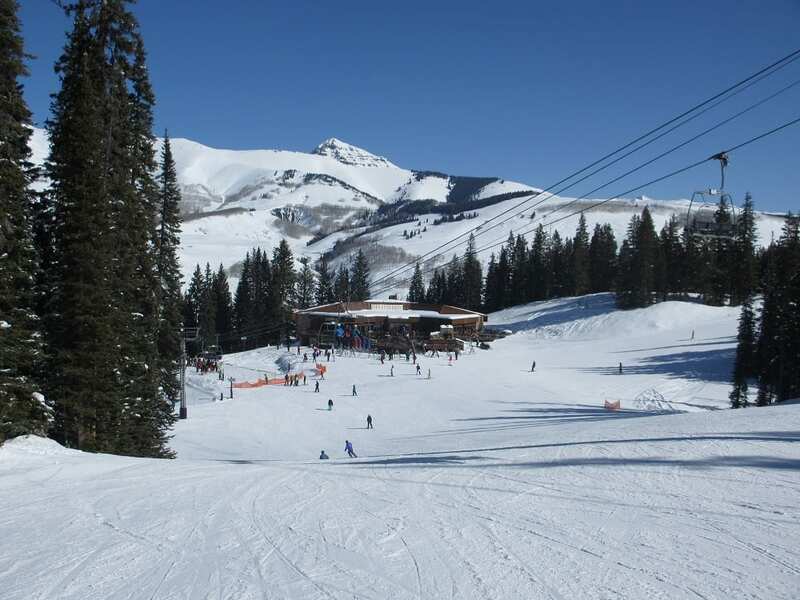 February 18, 2012 – Crested Butte is a fun, laid back ski resort in the center of the Rockies. 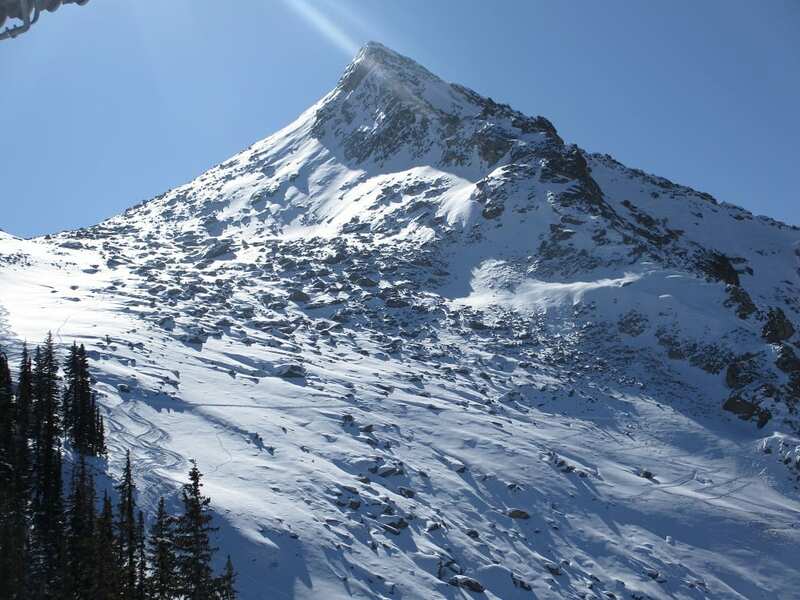 The mountain is secluded about a half hour north of Gunnison. 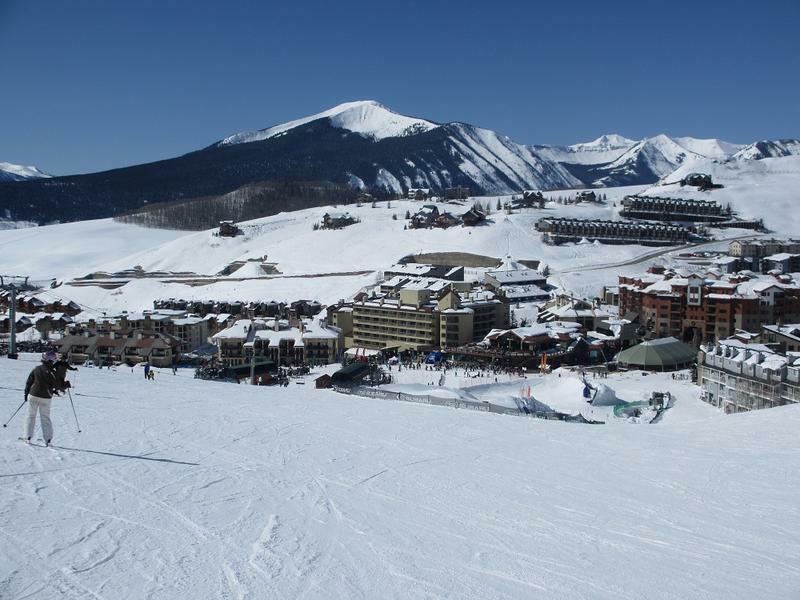 It’s a pretty big resort, at just over 1100 skiable acres. 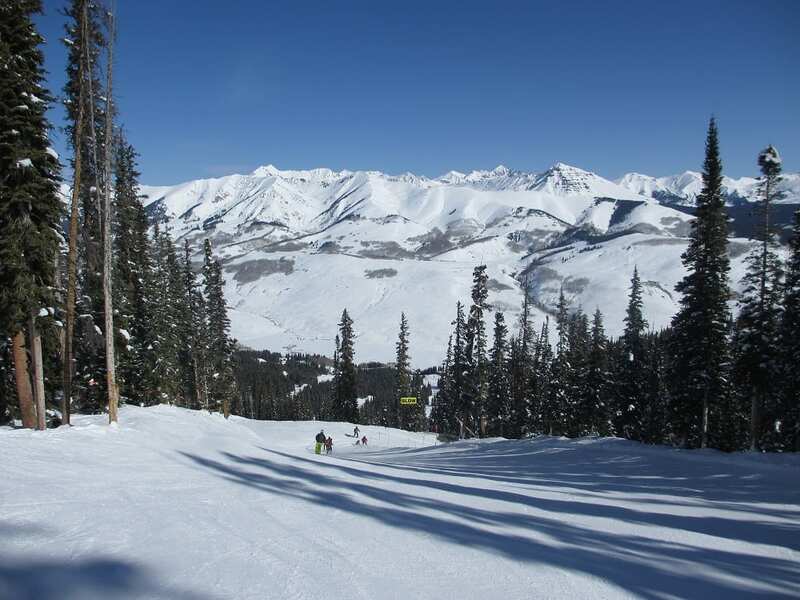 For terrain, Crested Butte has a lot of long, fast cruisers, some beginner runs and a good mix of expert skiing. CB has both a mountain village and historic downtown. The two are about 5 minutes a part, with free shuttles running daily. 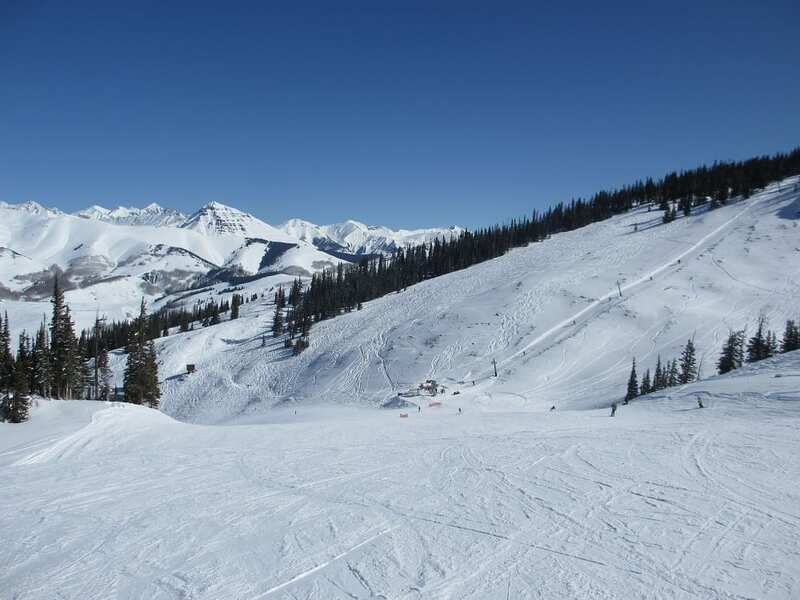 It was a blue sky day, when we skied, so it was real nice. 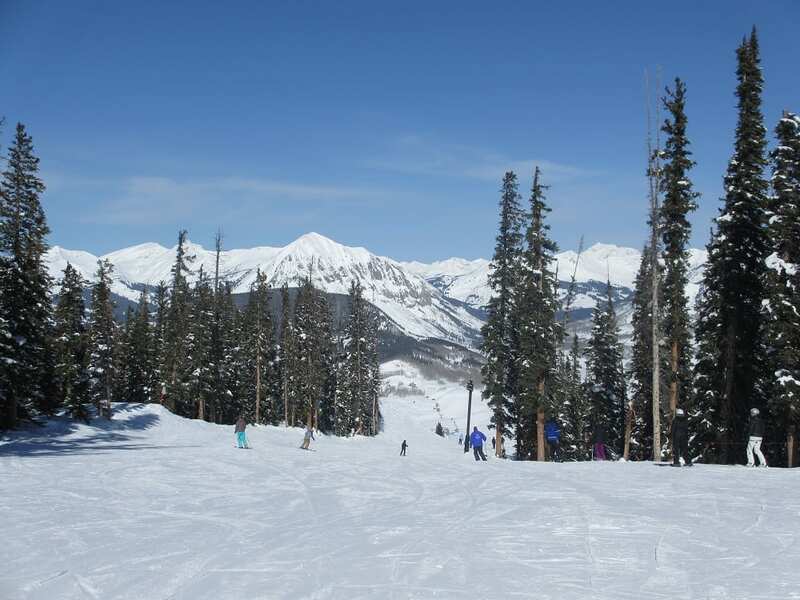 We got to enjoy the views around Crested Butte, which are some of the coolest in Colorado. 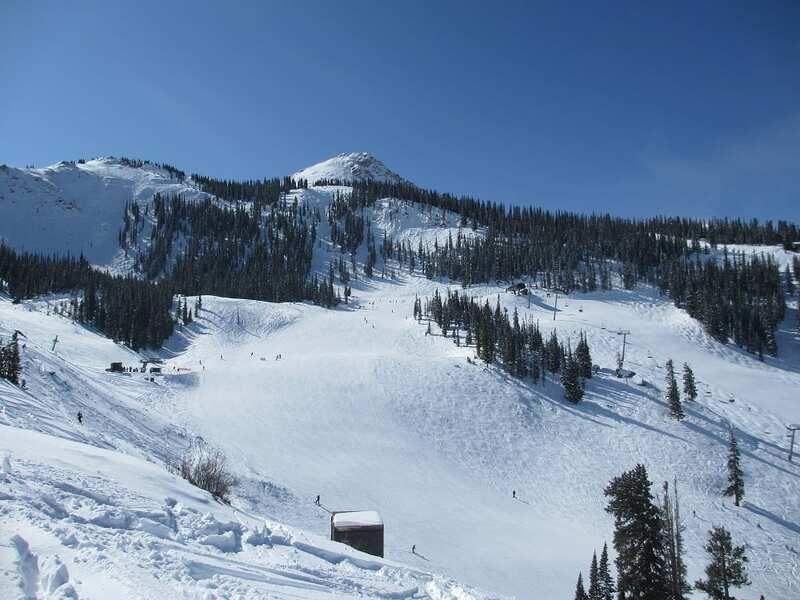 Looking up from the chairlift at the iconic butte. A blue cruiser and beautiful scenery. 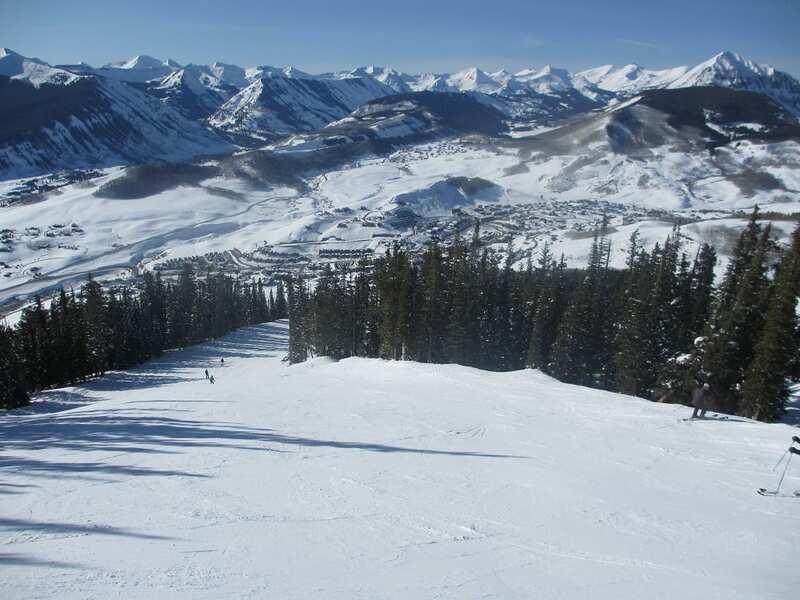 Aerial view of downtown Crested Butte. Expert terrain Poma Lift on right. Another blue cruiser at CB. 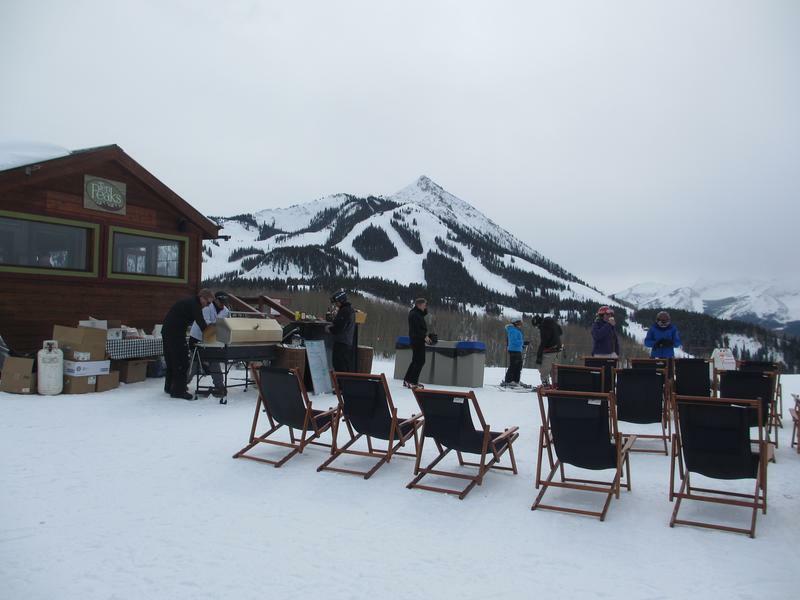 On-mountain dining at Paradise.Warming House. The cruisers were well groomed and fast. 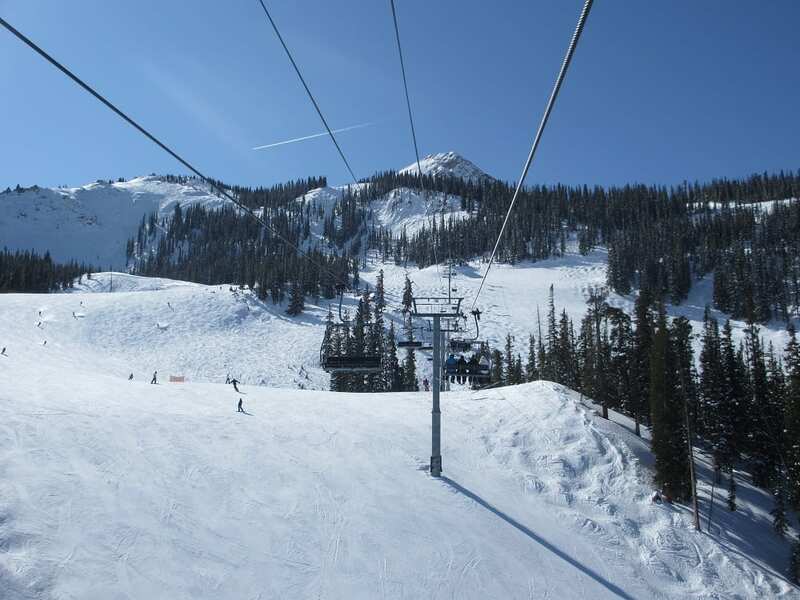 Gazing off the chairlift at the outsanding scenery. Heading down from the Poma Lift. 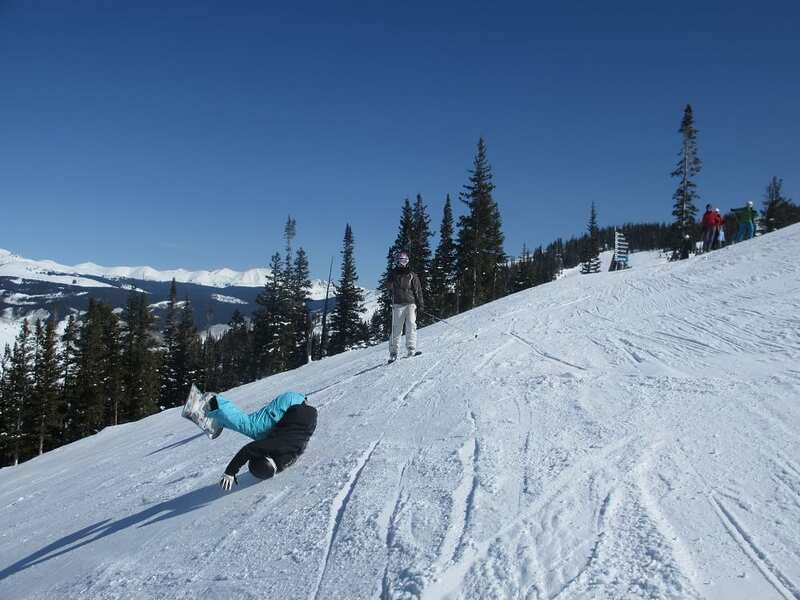 Snowboarder rolling by...(she was fine). Stopped in at the Avalanche Bar for some quick grub. 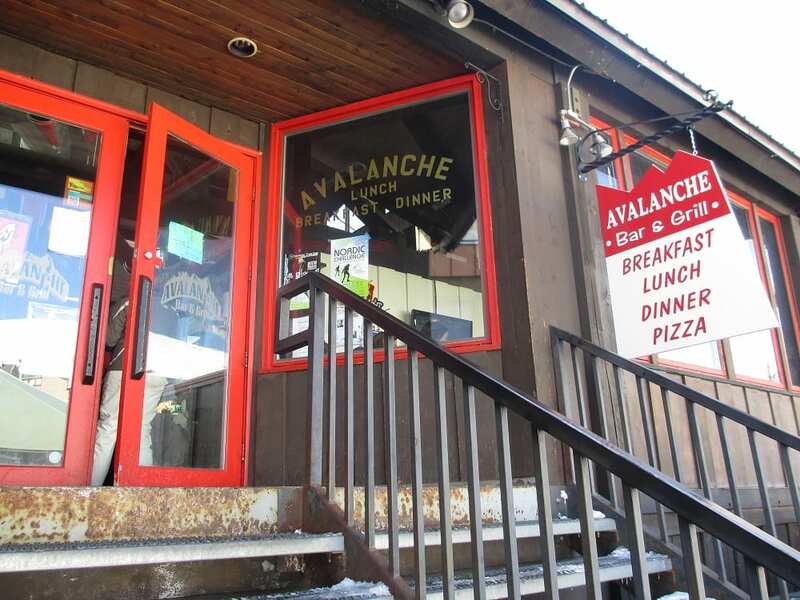 The Avalanche Bar & Grill at the base of the mountain. Back out for a mogul run after lunch. 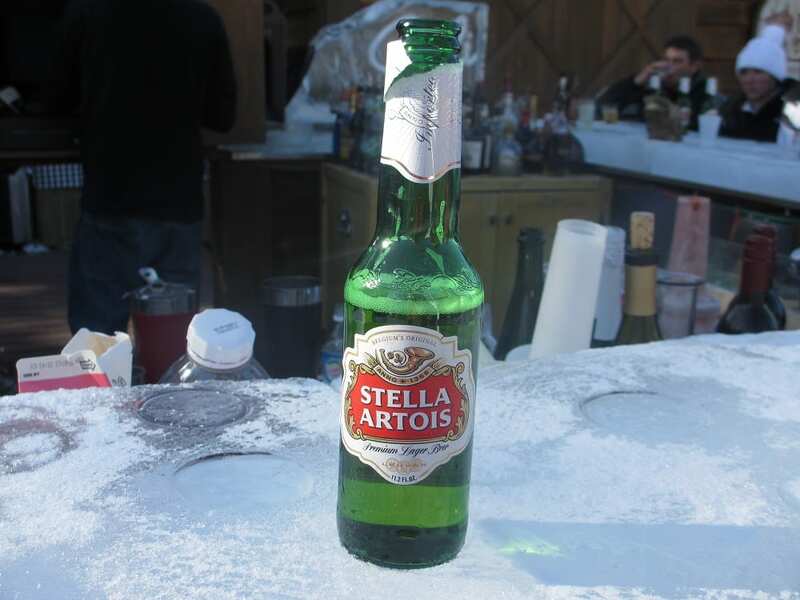 And...back to the bar, this time the Ice Bar at Uley's Cabin. 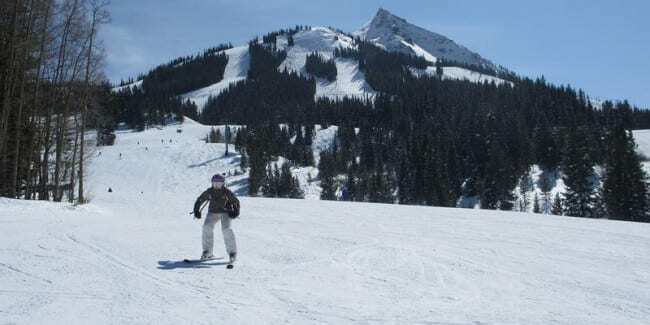 Skiing at Crested Butte Mountain Resort.